Just in time for your Christmas gift shopping, 23andMe has just slashed the price of its DNA testing kits by 30%. The 23andMe kits come top of our best DNA testing kits guide, as they offer such a detailed picture of your health and ancestry. 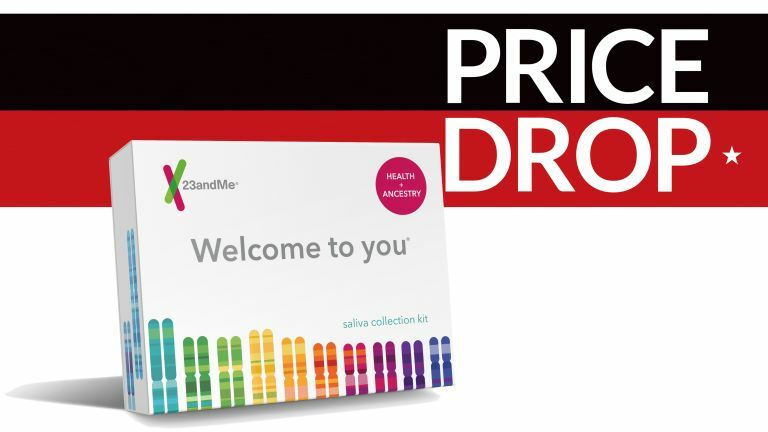 The flagship 23andMe "Health + Ancestry Service" DNA testing kit, which provides extensive information on your ancestry and genetic health from a small saliva sample has been reduced from £149 to £104. If you're in the US, the price has been reduced from $199 to $139. The more basic 23andMe "Ancestry Service" DNA testing kit which gives you a picture of your ancestral past has been reduced from £79 to £54. The US price has dropped from $99 to $69. DNA kits make original Christmas gifts, and to make gifting easy both kits currently come with free gift wrap. 23andMe also allows customers to access their raw, uninterpreted genetic data file. This can then be uploaded to third-party services like GedMatch, where the information can be used by amateur and professional researchers and genealogists to trace family trees. If you're not sure which of the two kits to buy 23andMe provides a full comparison chart to help you decide. This 30% off offer ends on 25 December. Looking for more Christmas gift inspiration? Check our our Christmas gift ideas article!